KarmaFX is a company that offers high quality, professional, virtual instrument & effect plugins VST/AU for PC and Mac. 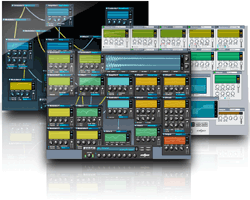 KarmaFX Synth Modular, our award-winning modular synthesizer is shareware. A demo is available for	free download.